SUMMARY: 17-year old Juneau returns home to her Alaskan yurt to find everyone in her clan has been taken. Juneau sets out across the Alaskan tundra to find them and gradually discovers that the clan elders have been lying all her life. There was no WWIII in 1984. Instead of world-wide devastation and nuclear fallout, Juneau discovers a thriving modern society she never knew existed. Together with a boy named Miles to guide her, Juneau attempts to find her clan and answers to her many questions. IF THIS BOOK WERE FOOD, IT WOULD BE: Tamales--Making them is a slow process, but it's totally worth it in the end. WHAT I LIKED: I had a difficult time getting into this story, but once I was into it, I read the rest in a few hours. I love road trip stories, especially those involving a love interest who constantly butts heads with the protagonist. Juneau's quest begins in Alaska and meanders through several western US states as Juneau searches for her missing clan. It isn't long before Juneau discovers that she's been lied to her entire life: the war her clan supposedly escaped in 1984 never actually happened. Juneau's connection to the earth ("Yara") gives After the End a unique paranormal spin. The blurb makes this story sound like dystopian fiction along the lines of Bachorz's Drought, but the earth magic makes After the End more paranormal than dystopia. And that ending! Some will not like it, but I really did! I look forward to the sequel. WHAT I DIDN'T LIKE: The chemistry between Miles and Juneau. I like Miles. I like Juneau. But I didn't feel their connection. I hope the next book better focuses on the chemistry between these two major characters. The title. 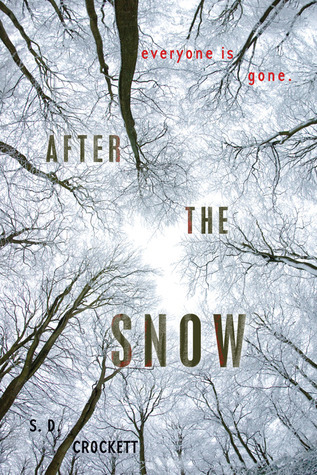 I keep wanting to call it In the After or After the Snow, both recent YA titles with similar grayscale front covers. 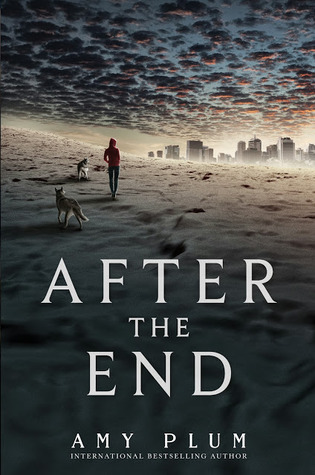 I love the cover of After the End, I just wish the title popped a little more. 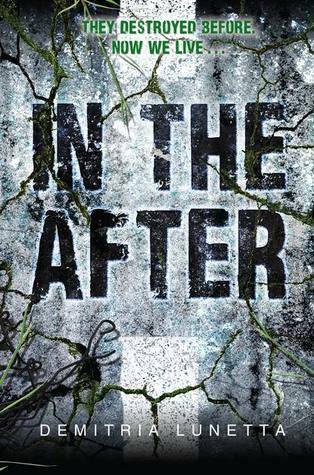 I can see myself booktalking this title and confusing it with In the After. THE BOTTOM LINE: A unique paranormal road trip story with romance and a shocking ending. This slow-starter smolders for a little while, but eventually, it is difficult to put down.